Racers, start your engines! “I can’t, my recoil just broke.” “I can’t either, I fouled a plug.” “Someone help me, I have a crippling cramp in my hip.” Ahh, and so begins the horror stories and memories that come out of a weekend in the world of vintage snowmobile racing. 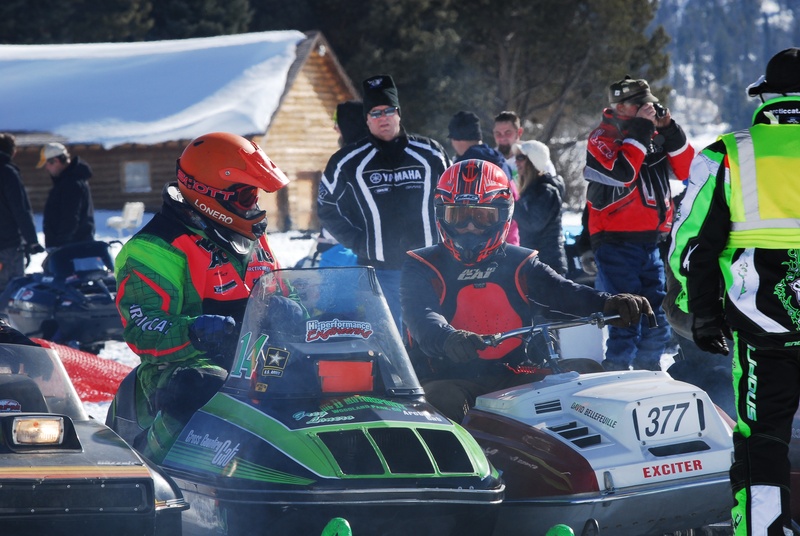 Just like the Midwest, racing vintage and classic snowmobiles in the Rocky Mountains is exploding in popularity, but how do you get started (wherever you are), and are you too old? My racing background from the early days included drag racing, hill climbs, and ovals. I never got to follow a points circuit until the second chapter in my life, when Xtreme Mountain Racing (XMR Racing) brought oval racing into their SnoX schedule. I’ve learned that participating in an XMR race is not just a weekend of racing, it’s a family reunion. Friends, speed, adrenaline, the aroma of race fuel, and lots of horsepower are the reasons I’m still racing, because well, there’s nothing else like it. Greg Lonero chatting with a fellow racer while staging for a race on XMR circuit. Modesty aside, I’ve been lucky enough to nab several High Points Championships in the XMR intermountain racing circuit. And along that journey, which I’m still very involved in today, comes the looming realization that I’m getting closer than many of my competitors to 60 years old. Sixty has a stigma about it that says you should be sitting in the stands instead of racing full mod race sleds. Furthermore, my mod sleds themselves are over 40 years old, so we have an accumulative age of 100 years when we’re paired up. Just to give some perspective, when I was a kid, 100 years prior, well, you’d be on a horse or oxen. But over time my life philosophy has changed, as the saying goes “better a racer for a day than a spectator for life,” and this is one of the things that drives me to continue racing. 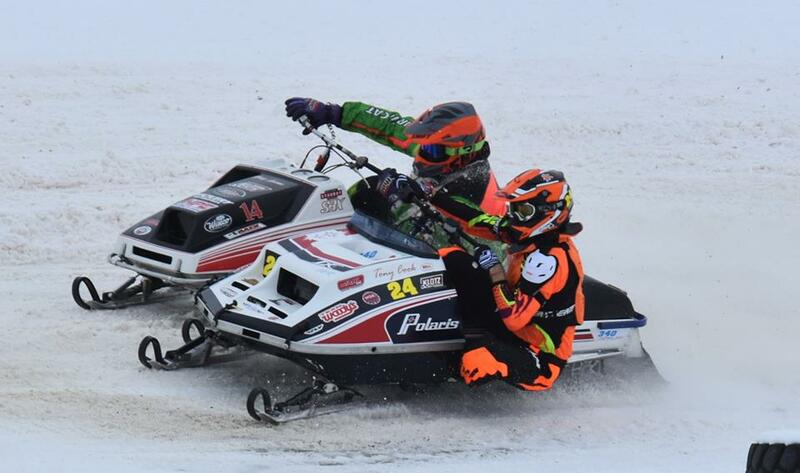 Greg Lonero and Tony Cook embracing the race in Mod-500 class in Hayden, CO.
We’ve all heard it and read it many times over with other forms of motorized sports where professional racers retire when they are 30, 40, etc. Seriously, how can one be so passionate about an activity or sport and just stop? Well, some reasons could be that life takes over, health issues, too much of the endless windshield time, finances, riding at the only known level of competition that one is comfortable with, etc., who knows. All I know is that hanging up my gear isn’t for me anytime soon. As I said earlier, racing is not just about racing, it’s about the camaraderie in the pits, tinkering on machines in the garage to distract myself from the daily grind, and knowing that if I don’t keep myself in good physical shape, I won’t be competitive. But, more importantly, being in good physical shape in your graying years equates to holding off the inevitable aging process. Heck, there’s guys out on the track in their 70’s. Greg's 1976 340cc Rupp Magnum in the works for another season of vintage snow racing on the XMR circuit. My solution to my exit stage right is not to “retire” from the sport, but to start racing less powerful sleds. That’s a hard pill to swallow, and the thought of running a “stock sled” seems horrifyingly boring, but since I still love mods, I’ve just decided to adjust my fleet of vintage racers for the upcoming seasons. So, new to the fleet is a 1976, 340cc Rupp Magnum, with a hand built, aluminum bulkhead, aka the chassis. 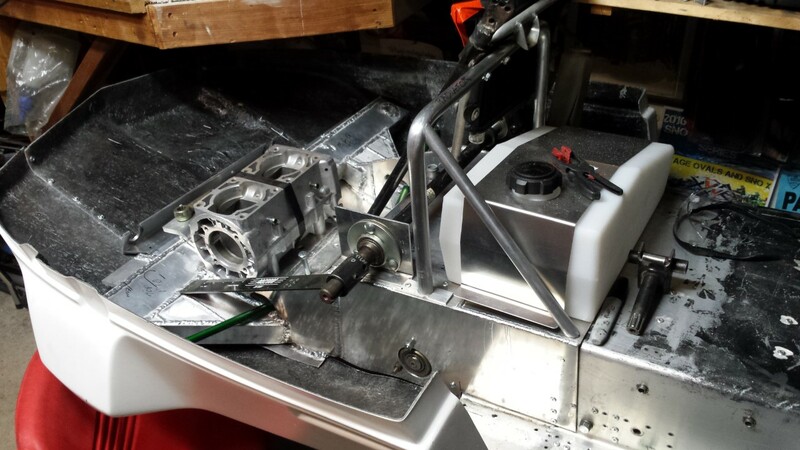 Though still under construction, it’s a mod sled that should be completed in time for the 2019 season. We’ll save the Rupp story for a later date. For 2018, a very stock, 1978 Arctic Cat 500 Free Air joins the stable. In the world of vintage racing, whether you’re involved with cars, bikes, snowmobiles etc., for many of us, there’s that burning passion to relive an element of days gone by. That passion is either trying to relive the glory years or experience what it was like in those times. What is different, these days, is the engineering that goes into rebuilding the old iron. In the snowmobile world, there are many vendors these days that are re-producing parts for the old race sleds from the 70s that were produced in limited numbers. Those parts were nearly impossible to find just a few years ago. A big part of vintage snow racing is finding parts to rebuild the machines, like this 340cc Xenoah Mod motor from Pipestone Small Engines with Wiseco pistons. Furthermore, there are more vendors these days developing components that allow you to run in Modified, or Open Modified classes with things like hybrid ignition systems and state-of-the-art porting and milling configurations, all the way to an endless supply of internal motor parts like pistons, rings and gaskets. The result is, some of these motors from 40 years ago can now produce more horsepower and either rival or exceed some of today’s factory motors that offer the latest technologies available. So, when you’re at the starting line, it’s game on. Wiseco Pistons recognizes this market, and supplies many pistons kits for these older sleds dating back into the 70s. 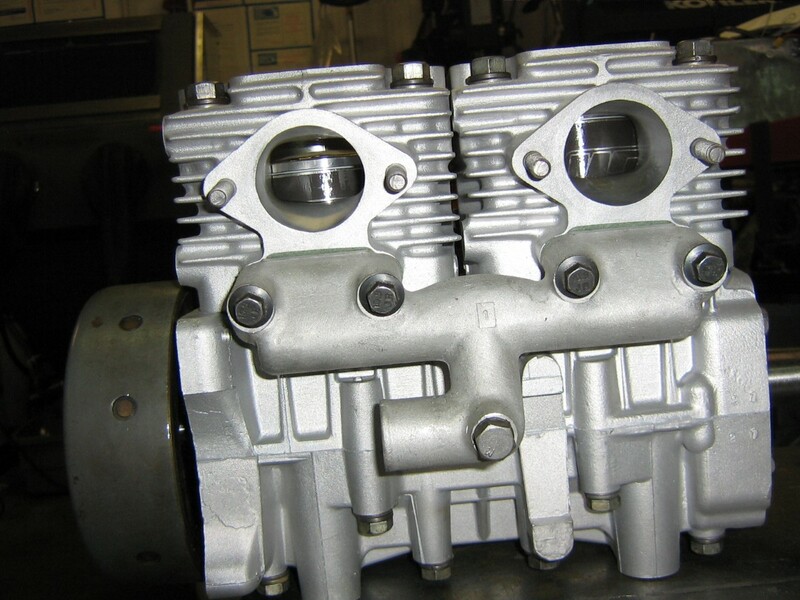 Wiseco’s snowmobile 2-stroke pistons are all forged aluminum. Forging aluminum provides more tensile strength, and each piston model is made from its own dedicated forging. Some pistons feature Electra Coating and ArmorGlide skirt coating, providing additional protection against heat and detonation while improving long term wear qualities. They can also do custom piston runs for the specialty markets, or snowmobiles that were produced in limited quantities. 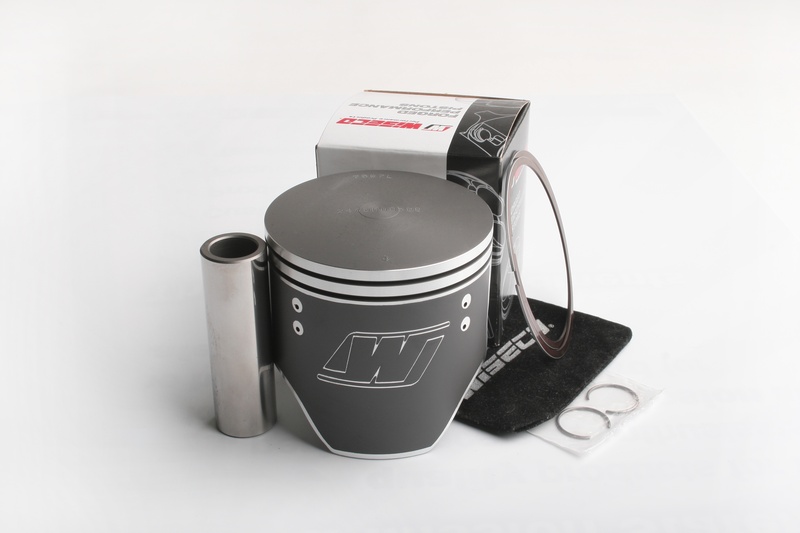 Wiseco offers forged pistons for many snowmobiles, vintage to modern, some featuring skirt and crown coatings. 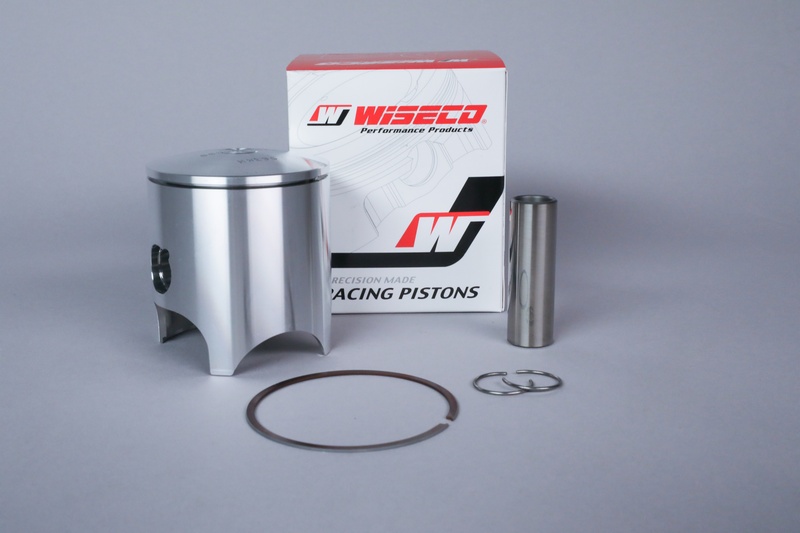 Find Wiseco pistons for your model here. Kevin Hasse, of Pipestone Small Engine, is one of these gurus who taps into a broad breadth of resources from his years of experience, including utilizing modern technologies with Wiseco, along with dyno testing, and years of tribal knowledge. I have also worked with Dave DeLaughter from DeLaughter Racing, Doug Flannery of Flannery Motorsports and Tom Kekich from Kekich Speed and Sport in Sheridan, WY. All these shops are equally qualified to make a vintage motor better than they were ever designed to be, and late models as well, and all trust the Wiseco brand. Winning on the new technology, winning against the younger racers, and making new friends every year is the goal. Partnering with or seeking out the industry gurus, and having advocates for this sport like Wiseco, should give us all the confidence in the world that we’ll be able to continue to keep our passions alive knowing that resources will be there to support our hobby. So, get out and tinker, push yourself and your machines, keep making stories, and save your final years for telling the stories.